LeWhif – This must be one of the more bizzare things I’ve been asked to review of late, but I just had to! OK so it’s not a gadget as such, but who am I not to share with all you lovely ladies this rather different way to eat, or inhale I should say, chocolate! 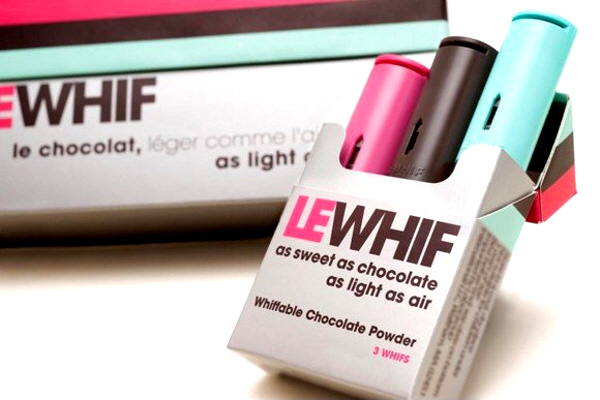 Each packet of LeWhif contains 3 inhalers. Each of these inhalers contain eight full inhilations and they come in a variety of flavours including chocolate, chocolate Raspberry, chocolate mint and coffee. I have to admit to being a little sceptical about this product when I first heard about it. Inhale chocolate – REALLY?! But, I really shouldn’t have been quite so judgemental, I actually really enjoyed it! They’re available at Prezzybox at a price of £4.99 – Enjoy! Previous Previous post: Please Nominate us for the Cosmo Blog Awards!